People can now apply online for installation of High Security Registered Number Plates (HSRP) for 4 wheelers (car) or 2 wheelers (bike, scooty) at hsrpdelhi.com. 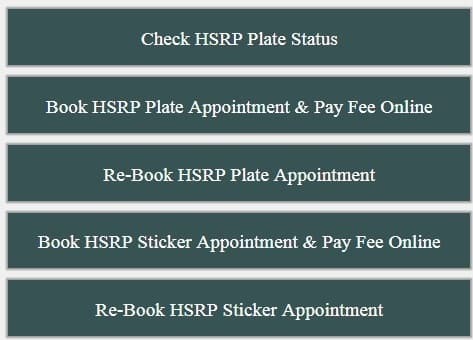 All the Delhi residents who doesn’t possess HSRP on their old vehicles can check book an online appointment & can also check their HSRP plate status online. As per the Supreme Court’s (SC) directions, Transport department of Delhi has started the process of replacing number pates in old vehicles with tamper proof registration plates from 12 October 2018. New vehicles in Delhi are coming with fitted authorized high security registration plates. But most of the old vehicles doesn’t have these sophisticated and tamper proof plates. As per the estimates of the transport department, there are around 40 lakh vehicles which includes both four wheelers and two wheelers, that don’t have these HSRP number plates. 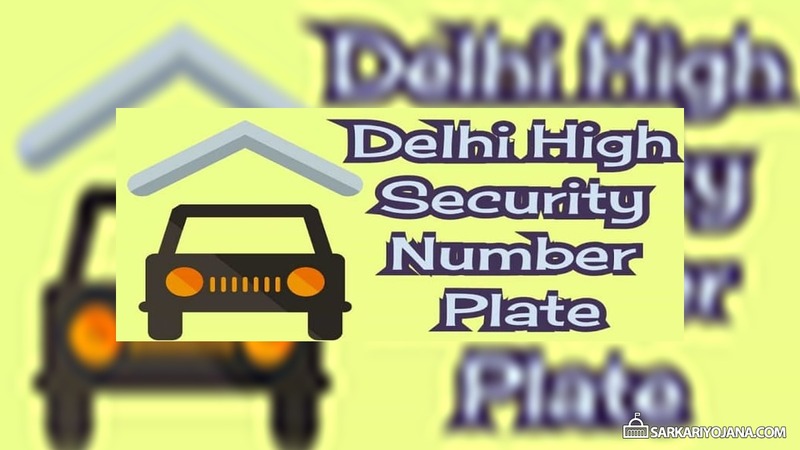 HSRP plates concept was first rolled out in Delhi in the FY 2012 and now the department is carrying out this process of installing HSRP plates in every vehicle in phases. Here all the vehicle owners needs to provide information about the car’s registration number, chassis number and the owner’s mobile number. The appointment will be processed after vehicles details from the transport department are received by the vendor installing the registration plates. To get a counterfeit numberplate from a roadside shop which looks similar to high-security registration plate might appears an easy way out in comparison to queue up at an authorised centre. But now these local duplicate number plates can lead you to prosecution and punishment. 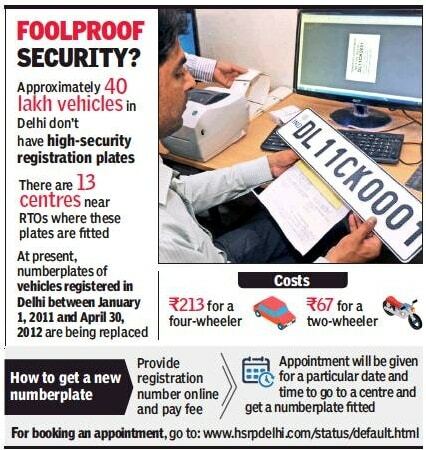 So, citizens can apply online for high security number plate in Delhi. This process has been made online in order to avoid overcrowding at the hsrp delhi center and to ensure that vehicle owners have a hassle free experience. There are however only 13 authorised hsrp affixation centres in Delhi where high-security registration plates can be installed and the list of these centres can be accessed at http://www.hsrpdelhi.com/status/default.html. 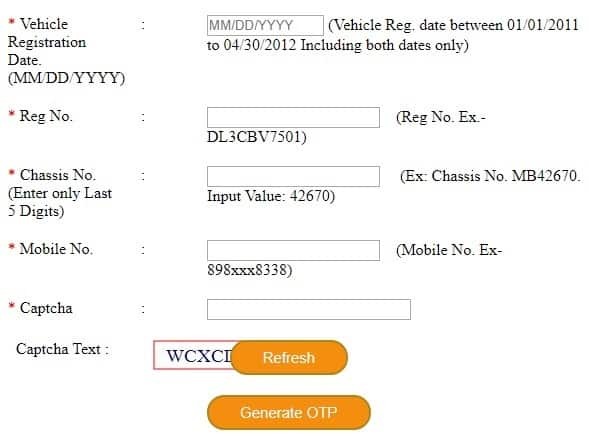 Here candidates can check their HSRP number plate status and then go to the affixation center on the fixed date to install HSRP on their vehicles. All the authorized dealers are now fully equipped to provide the numberplates, so vehicle owners should take the appointment online and get it done. In addition to the new numberplates, vehicles coming to the affixation centres will also get hologram-based colour stickers which would denote the type of fuel used in the vehicle. The transport department will notify the schedule later for the affixation of high security registration plates in vehicles registered prior to 1 January 2011.